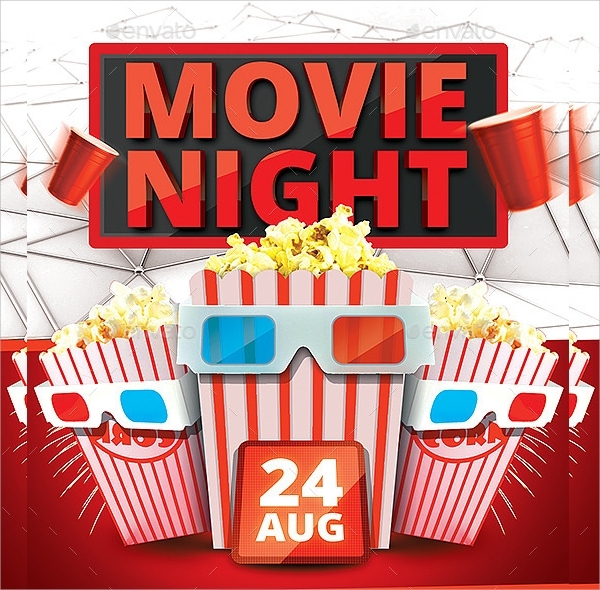 When it comes to night movies and its flyer, they must surely be attractive enough with its design and eye-catching at the same time. 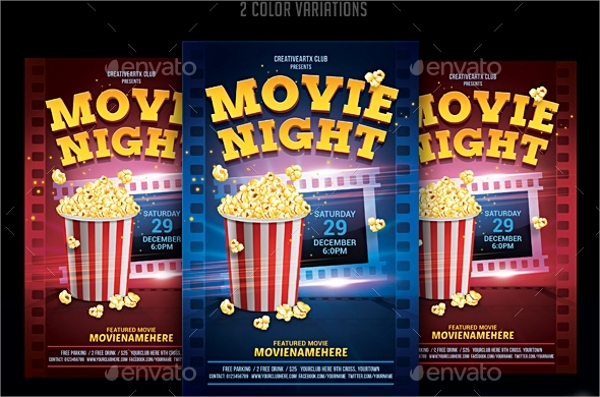 The below-listed movie night Event Flyer Templates serve exactly the same and we get a wide range of choices for each genre of movies. 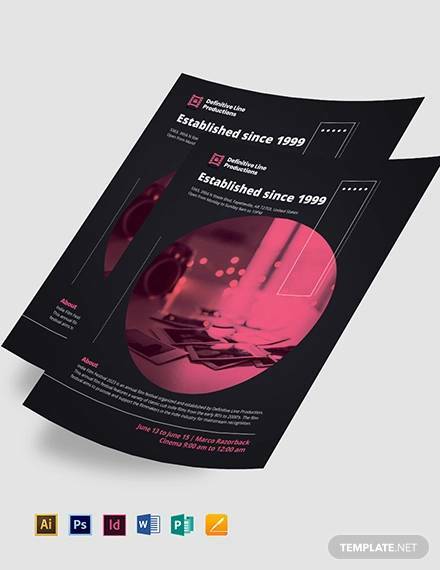 The provided PSD files will help you to tweak certain components and color combinations so that it goes well with your current show and movie. 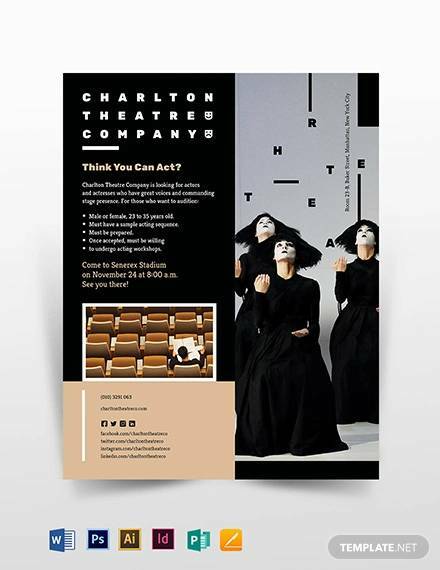 They all have unique and catchy fonts with heavily designed texts which are fully customizable to insert whatever you require. 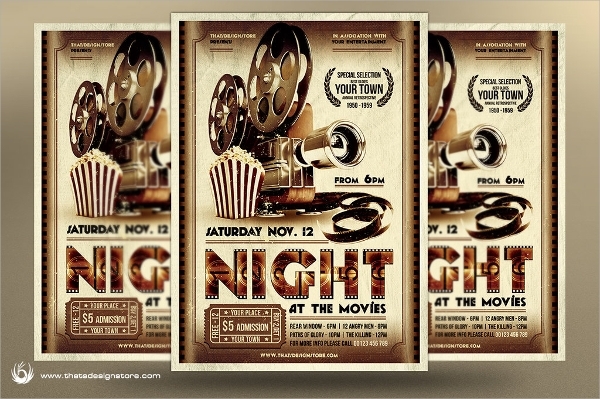 This wonderfully designed movie night flyer is really cool to the eyes. All the texts on it are editable along with other components through PSD file provided. It has great color combination and objects. 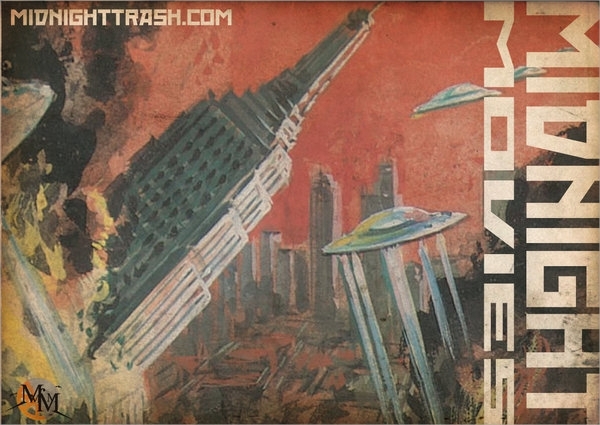 This retro looking golden flyer is sure to attract all the attentions. 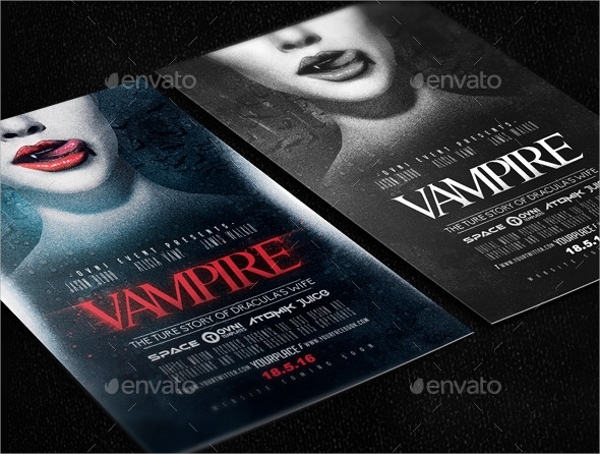 It includes 3 PSD files having different designs and has a dimension of 8.5 x 11.9 inches. One Facebook cover is also provided. 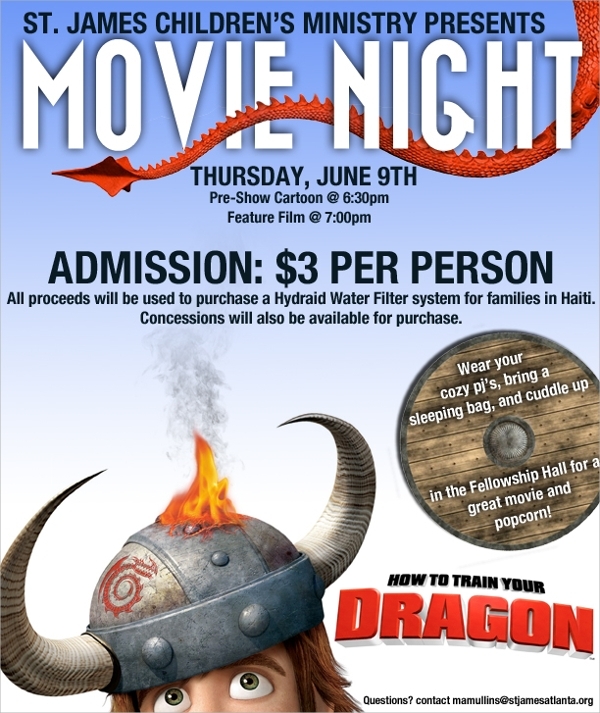 This action-filled intense flyer is perfectly suited for any movie show as the components and objects are fully replaceable. It has 3D effect and great color and font combinations. 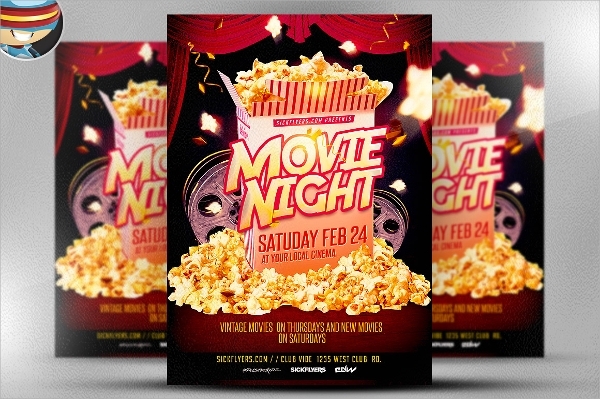 This retro looking fade colored flyer is perfect for midnight movies. The PSD file helps in editing the components for betterment. 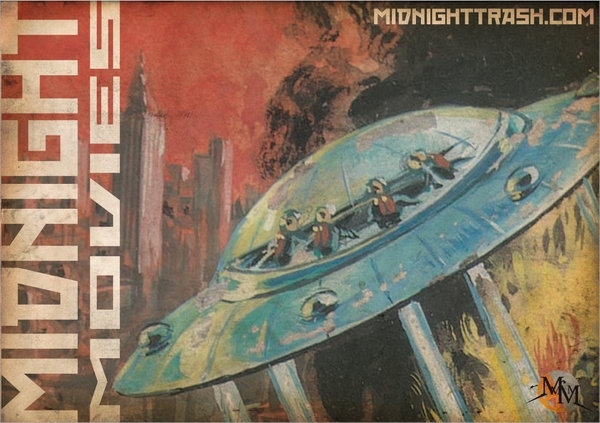 It is best suited for fictional movies of theprevious century. 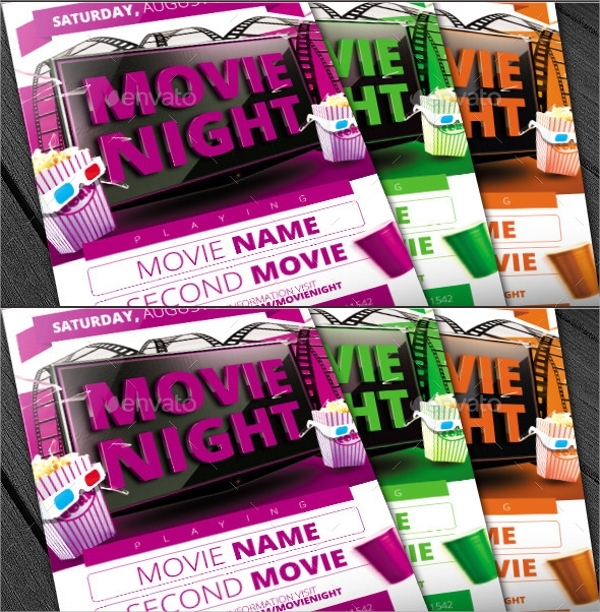 This amazingly designed bright and colorful movie night flyer has a dimension of 5 x 7 inches with 300 dpi and CMYK mode. It has 1-click easy color editing option and fully organized layer structure. 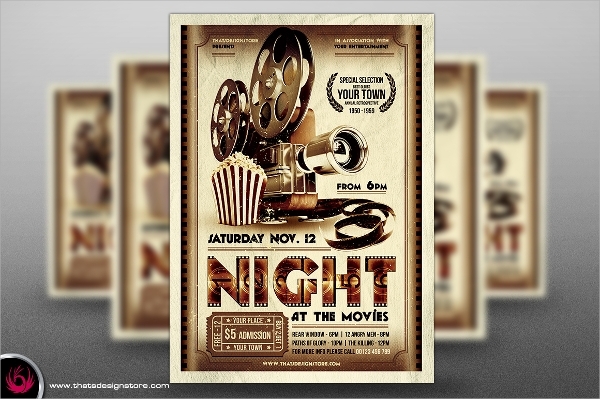 This amazing looking movie night flyer is color and object rich. 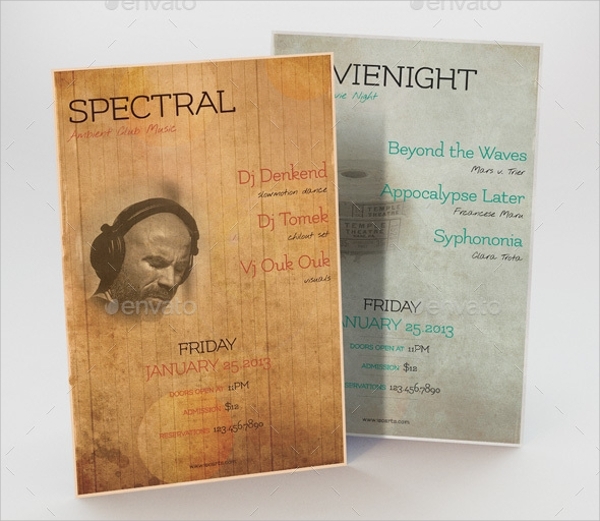 It is very eye-catching and comes with fully editable layered PSD file. The fonts are great too and come with the pack for writing desired text. 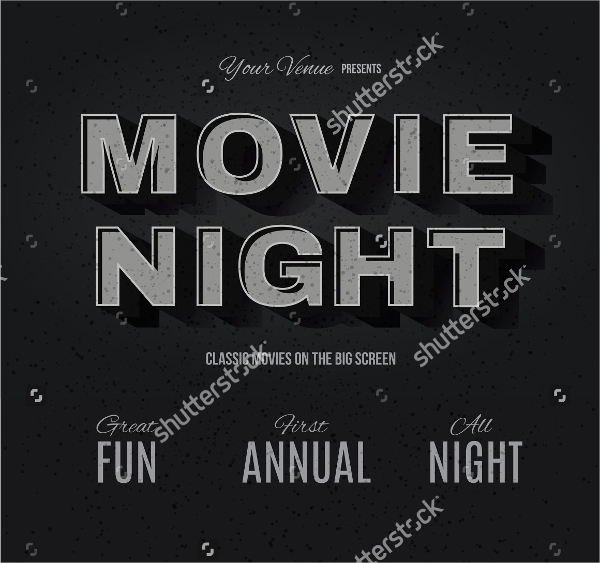 This dark and grave movie night flyer has grayish-black in the background with text written on it with dark and light gray color. Any design can be placed in the background to make it as you want. This scary looking movie flyer has vampire picture with shuttle effect and the texts are made accordingly to give a great impression. It comes in 4 x 6 inches size with 300 dpi quality. 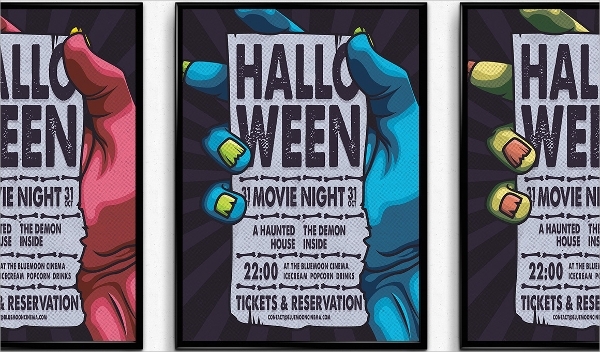 This Halloween movie night flyer has a scary hand holding a bill which displays the content very creatively. It has several color combinations and can be editing using the provided PSD file. 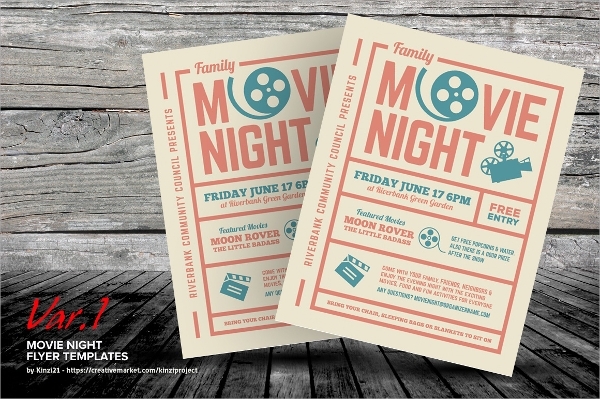 This modern and clean movie night flyer template is straightforward in advertising what is needed with several fun-filled objects to emphasize the overall concept. It has a size of 4 x 6 inches. 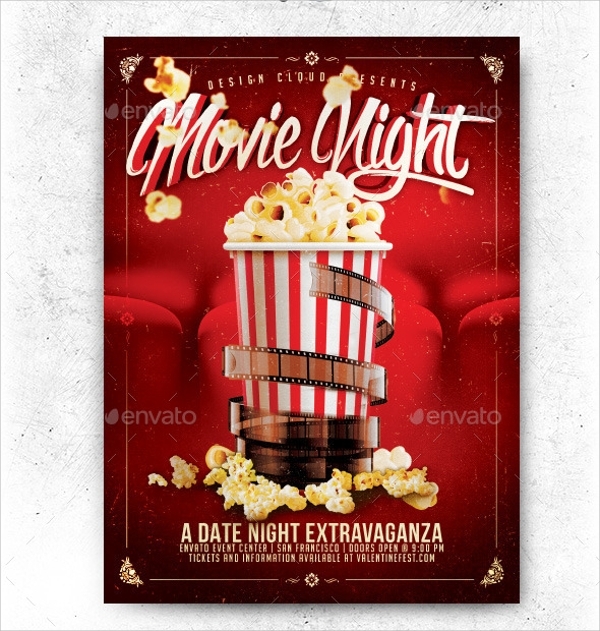 All the above-listed movie night flyer templates are of high resolution and come in standard size of a flyer. The great color combination and awesome fonts make them stand out in the crowd and surely going to attract a lot of visitors for the show. Make the best use of them and have a successful event.